The brand new BERNINA 535 – for the garment sewist. The brand new BERNINA 535 for garment sewists. 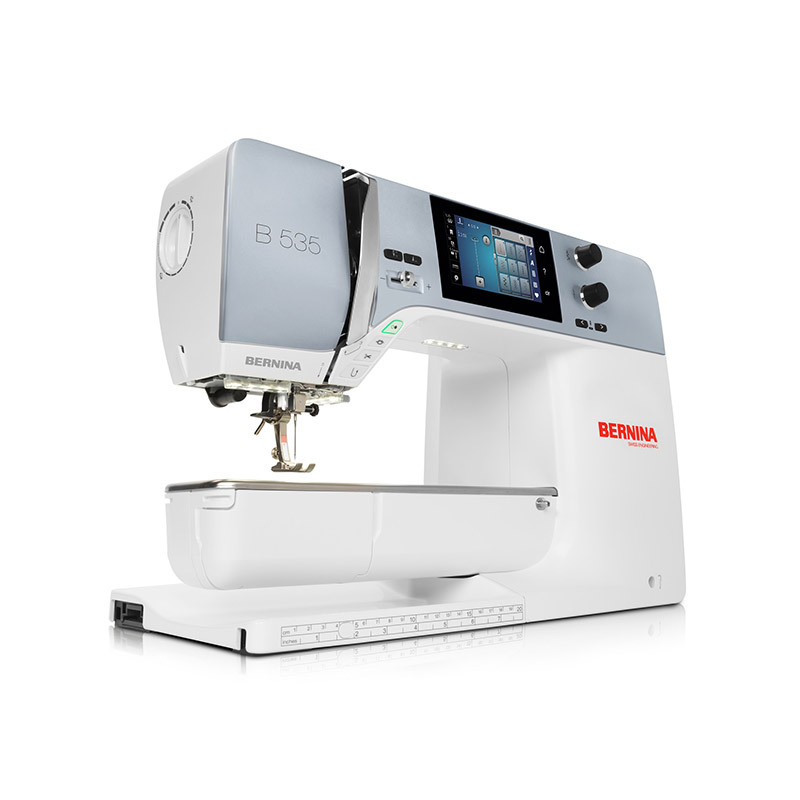 The brand new BERNINA 535 has a 4.3” touchscreen that is easy to navigate from stitch to stitch. Thanks to the Adaptive Thread Tension, you get optimal thread tension for perfect stitch quality on both sides of the fabric. The B 535 makes it easy to ensure that the ideal pressure is always used for the selected stitch whether you are sewing on thick or thin fabrics. With automatic features that save time, the 535 has a built-in thread cutter, and one-step needle and presser foot adjustments. These features make your sewing experience simple and enjoyable every time. Experience the BERNINA 535 TODAY!